Senate Bill 93, which would have allowed bicyclists to roll through red lights and stop signs when no traffic is around, died in committee today at the Colorado Capitol. DENVER – State lawmakers heard remote testimony from Durango residents on Tuesday as part of a hearing on a bill that would have allowed cyclists to roll through stop signs and signals as if they were yield signs. But Senate Bill 93 died in the Senate’s Transportation Committee Tuesday on a 3-2 party-line vote, with Republicans voting to maintain current law. Spencer Compton, managing director of Durango Wheel Club, was among city residents who spoke in favor of the bill. Compton said he has lived in Durango for 16 years and has seen cycling as a mode of transportation and recreation, both for residents and tourists, grow significantly. But accommodations for cycling are lagging. “Cycling has become a very big and growing part of our economy, so we need a functional cycling infrastructure and we need laws that support cycling,” he said. That is especially apparent in intersections where cyclists must come to a full stop in accordance with the law even if there is no oncoming traffic, he said. 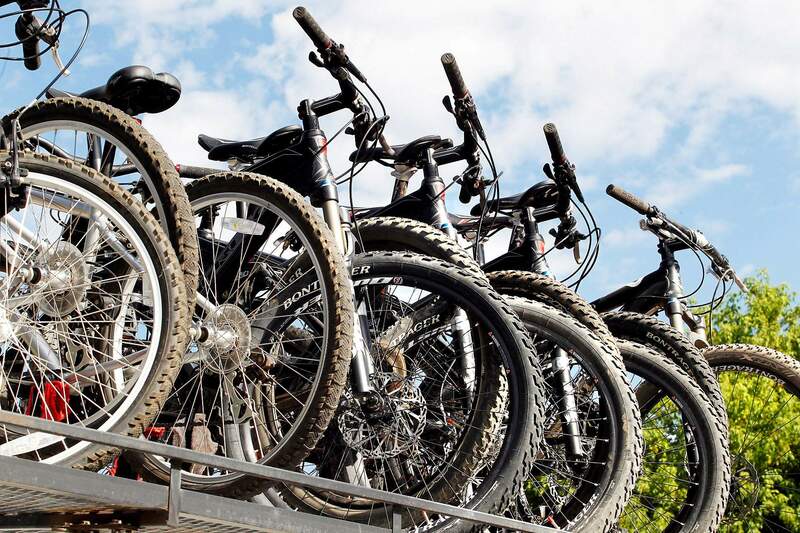 SB 93 would have alleviated some of the issues experienced by cyclists, and allowed them to better use infrastructure until more bike-specific lanes and bypasses are constructed, he said. Alan Robertson of Durango also testified in support of the bill. Robertson said regulation should recognize the realities of the range of transportation on Colorado’s roads. “A bicycle is a different vehicle from an automobile, and we have laws for pedestrians; they have the right-a-way in intersections, so I think it makes sense to have slightly different laws for different vehicles and different modes of transportation on the roadways,” Robertson said. Testimony against the bill included representatives from Colorado State Patrol and County Sheriffs of Colorado. Both opposed the bill because of the conflicting expectations it would place on different modes of transportation. David Hall, CSP legislative liaison, said changing the law would lead to confusion amongst motorists while education efforts were being pursued, which could be costly. Hall said rather than simply follow the law, the bill would require cyclists to analyze traffic at intersections to decide if they could clear it safely. “I think there are a lot of cyclists who could do that, probably even most bicyclists could do that, and most of us can walk and chew gum at the same time, but we don’t make our traffic laws in this state or any other states based on what the majority of people can cognitively accomplish, in particular when it comes to life-and-death matters,” he said. Sen. Andy Kerr, D-Lakewood, said the bill was modeled after an Idaho law commonly referred to as the “Idaho Stop” law, and arguments against it missed the point that it would only affect how cyclists interact at intersections in the absence of traffic. “If you’re at the intersection, this law does not apply to the person on the bike. This law applies to the person on the bike when you’re not at the intersection,” Kerr said. The year after the “Idaho Stop” law was implemented, the state reported a 14 percent drop in traffic crashes involving cyclists, he said. The bill would not have affected liability for crashes caused by a cyclist who did not properly yield to a motorist, which was a concern that came up in emails Kerr said he received from constituents. It actually would highlight when a cyclist was a fault by putting the decision to move into the intersection solely on their shoulders, Kerr said. “If there is a case where a person on a bike and a person in a car end up in a crash, somebody broke the law regardless of this (SB 93) and it was probably the cyclist. That’s exactly what we’re trying to do. “We’re trying to differentiate the safe cyclist from the jerks,” he said.